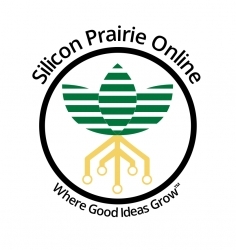 Saint Paul, MN, December 02, 2018 --(PR.com)-- Silicon Prairie Online (https://sppx.io), the first investment crowdfunding portal company to link blockchain based distributed ledgers under an Initial Crowd Offering model is pleased to announce the ability to invest with a Self-Directed Individual Retirement Account (SD-IRA) through an integration with AltoIRA (altoira.com), the premier alternative asset IRA solution for investors. This partnership brings the first ever tax- advantaged investment opportunities to both accredited and non-accredited investors of Silicon Prairie offerings. “Now everyone can tap into their traditional or Roth IRA or 401K funds and make self-directed investments in private companies,” said Silicon Prairie’s Founder and CEO David Duccini. “This is a game changer for investment crowdfunding,” he enthused, “Why bother chasing venture capitalists and angel investors when people you know could invest in your big idea. Also, being able to take a part of my retirement funds and invest in local breweries and real estate is a boon to my diversification out of the stock market,” he said. Duccini was the first person to use the integrated system, to invest in Minnesota based Foremost Brewing Cooperative. “Linking AltoIRA’s solution to our portal is a dream finally realized,” Duccini said, stating that “Investment crowdfunding represents a true democratization of capital!" Entrepreneurs and small business owners have unprecedented access to public capital. With the 2012 passage of the JOBS Act and the subsequent +38 states that have approved versions of intra-state investment crowdfunding, over $40BN has been raised to date with a projected total market opportunity of over $1.2 trillion according to Goldman Sachs. “We created Alto with a simple goal: to build a platform that allows people to invest their retirement savings in the opportunities that make sense to them and build a portfolio of alternative assets that includes current income opportunities like real estate and stakes in private companies,” said AltoIRA founder and CEO, Eric Satz. Silicon Prairie Online operates in MN, IA, WI, MI and nationally under Regulation Crowdfunding (REG-CF). The AltoIRA funding option is immediately available on all Silicon Prairie Portals and on Partner Portals in Minnesota and Colorado. AltoIRA, based in Nashville, TN, operates The Alternative IRA, an easy-to-use, automated platform for investing in alternative assets with retirement savings. AltoIRA empowers all investors to diversify their retirement portfolios in line with industry best practices – better positioning themselves to generate higher returns for their future retirement.